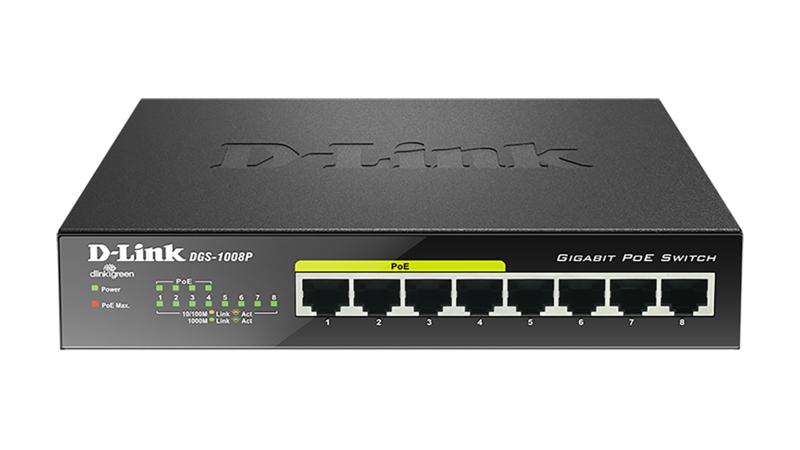 The DES-1005P features four 10/100BASE-T ports that support the IEEE 802.3af and IEEE 802.3at PoE protocols, supplying up to 30 W on each PoE port and providing a total power budget of 60 W. You can connect compatible devices to the DES-1005P without using an additional power supply. This allows you to save on cabling and to install devices in locations without immediate access to power outlets. 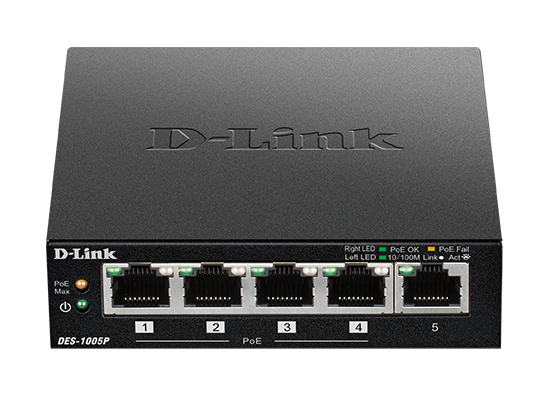 The DES-1005P features plug-and-play installation and requires no configuration. 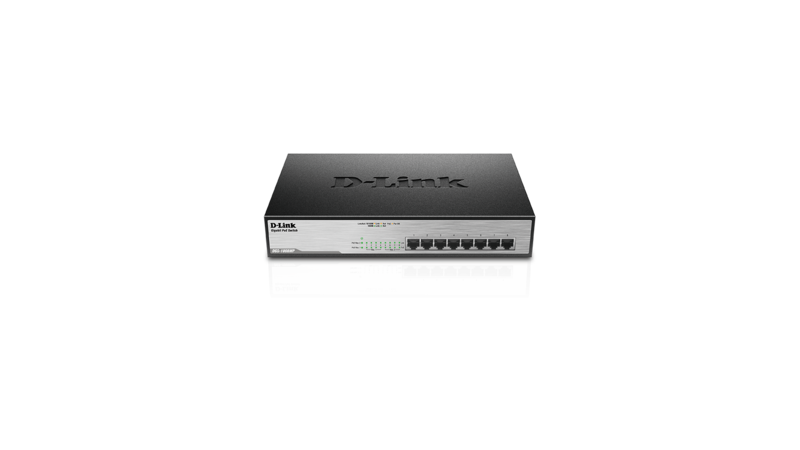 Auto MDI/MDI-X support on all ports removes the need for crossover cables when connecting to another switch or hub, and auto-negotiation on each port intelligently adjusts the port speed for compatibility with the connected device. 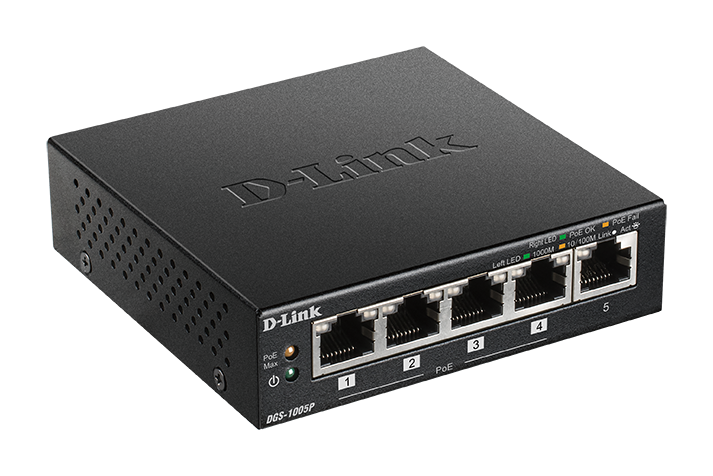 With wire-speed filtering and store-and-forward switching, the DES-1005P maximises network performance while minimising the transmission of bad network packets. 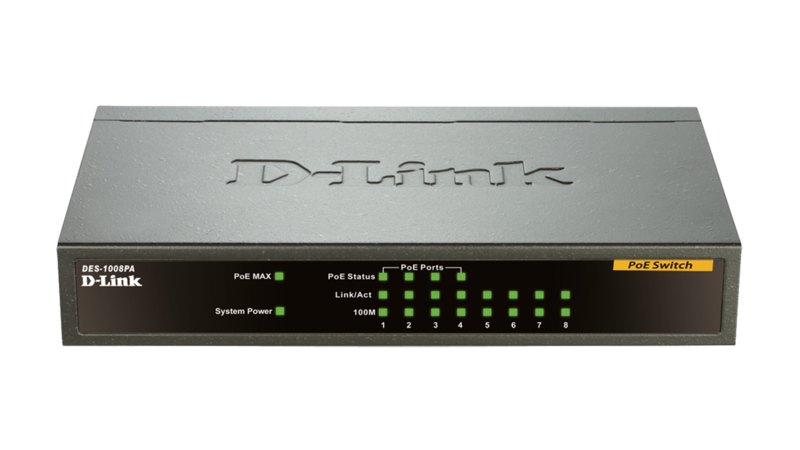 The DES-1005P features green technology such as IEEE 802.3az Energy- Efficient Ethernet (EEE), link status detection, and cable length detection. EEE adjusts the power consumption of the switch based on network utilisation, reducing the cost of ownership during periods of inactivity. 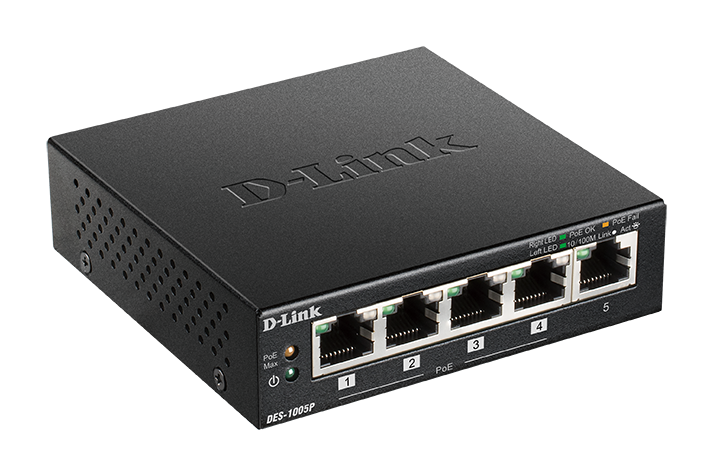 Link status detection powers down ports when no links are detected, saving power when connected devices are shut down or disconnected. Cable length detection adjusts the power output of the port based on the cable length, reducing the power requirements of the switch. The compact design of the DES-1005P allows placement in most locations, including those where space is at a premium. The desktop form factor provides everything you need to set up a new network or expand an existing network, while the fanless design ensures silent operation even in noise-sensitive areas such as workstations and meeting rooms.